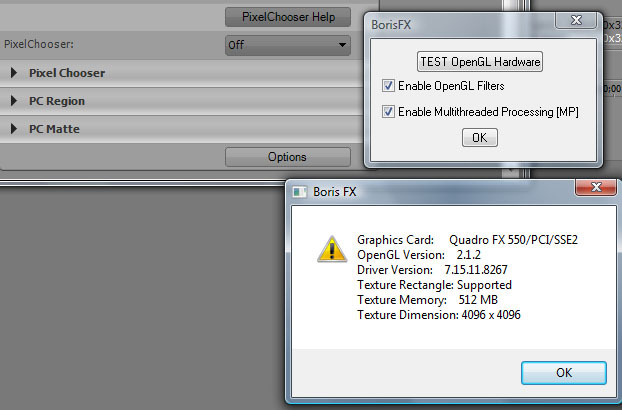 - previously Boris Continuum was only available for 64bit Sony Vegas Pro. It is now available for both 64bit and 32bit Sony Vegas Pro 10. - Map Displacement feature has been removed from Displacement Map, Vector Displacement & Polar Displacement filters as it does not work properly in Sony Vegas. - the wording of an on-screen message sometimes posted during the motion tracking process was changed to better match Sony Vegas terminology. It now refers to the timeline cursor rather than the current-time marker. - previously, the Motion Tracker would not allow tracking while the Vegas Video Preview was set to Quarter resolution. Now it is possible to Motion Track at Quarter resolution. - the wording of the on-screen message warning when attempting to motion track at very low resolution has been changed for improved clarity. - memory leak in Optical Flow filter is now Fixed. 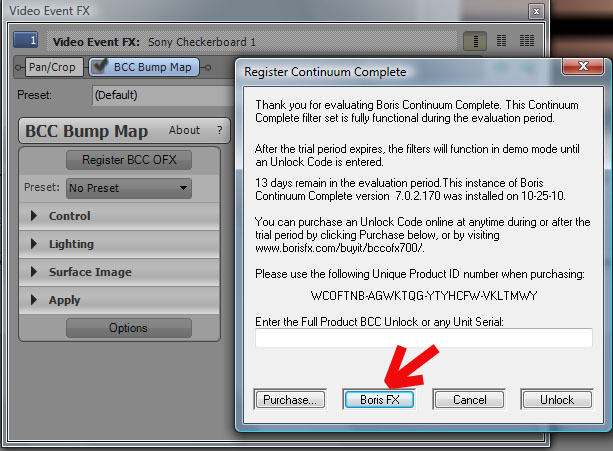 - Boris FX button, that points to Boris homepage, has now been added to the window that pops up when Register BCC OFX button is clicked. - the OGL Test dialog window now gives correct card, driver info. Formerly it did not identify the card & driver correctly.